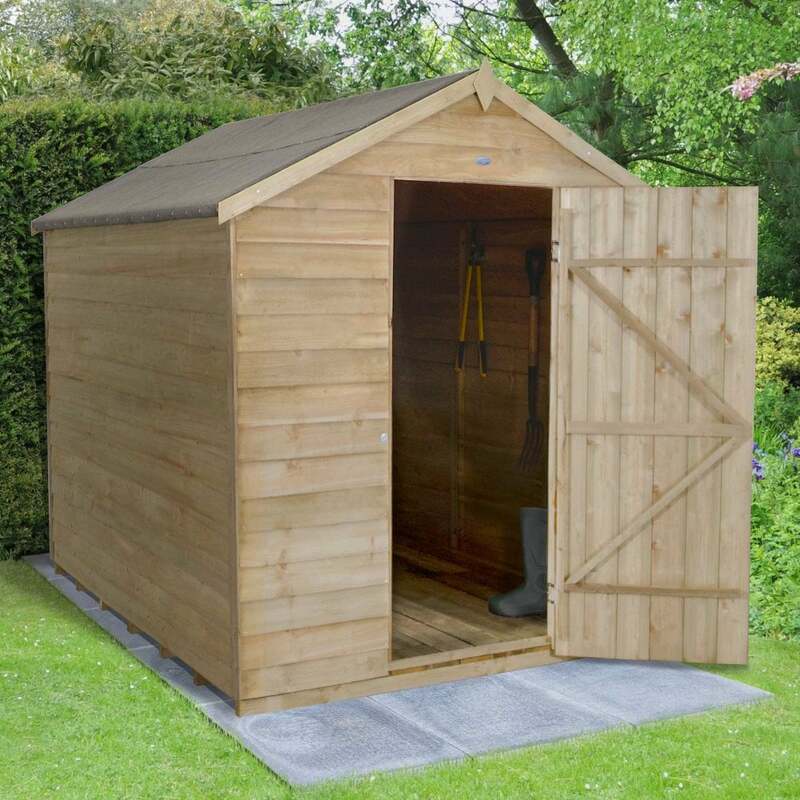 Forest Garden 6 x 8 Overlap Pressure Treated Apex Shed: This Forest Garden overlap pressure treated shed is the ideal size for most sizes of garden, this shed is great for storing your garden essentials and will provide security as it has no windows. The wooden panels on this shed are made up of square cut overlapping boards which will enable the rainwater to run off the sides. The shed also has smooth planed barge boards and finial for an attractive finish. This shed has a single door to the front which has secure hidden hinges and a Z frame for added security and stability and no windows to further protect the internal contents. This garden shed from the Forest Garden range includes a hasp and staple lock so that you can secure the door to the frame. This wooden shed has a robust pressure treated boarded floor and a OSB sheet material roof which is covered by the included shed felt. This shed is delivered in sections which are easy to manage and easy to assemble when done by 2 or more people.